PRICE DROP FROM $30,999, $1,700 below NADA Retail!, EPA 21 MPG Hwy/15 MPG City! Heated Seats, Onboard Communications System, iPod/MP3 Input, Dual Zone A/C, WiFi Hotspot, Smart Device Integration, Alloy Wheels, Satellite Radio CLICK ME! 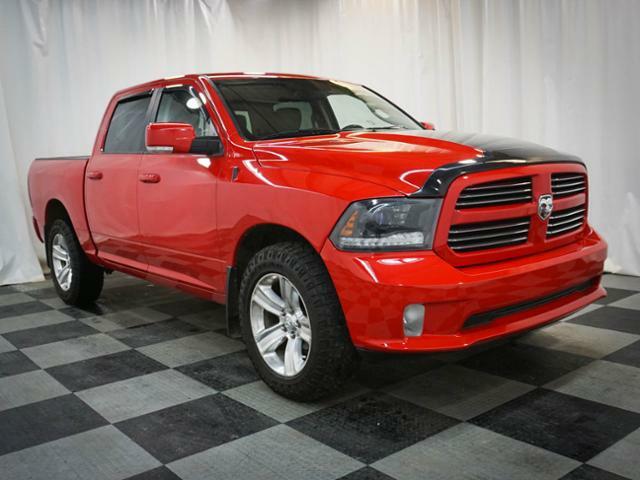 4x4, Heated Driver Seat, Back-Up Camera, Satellite Radio, iPod/MP3 Input, Onboard Communications System, Aluminum Wheels, Dual Zone A/C, Smart Device Integration, WiFi Hotspot, Heated Seats. MP3 Player, Privacy Glass, Keyless Entry, Child Safety Locks, Steering Wheel Controls. 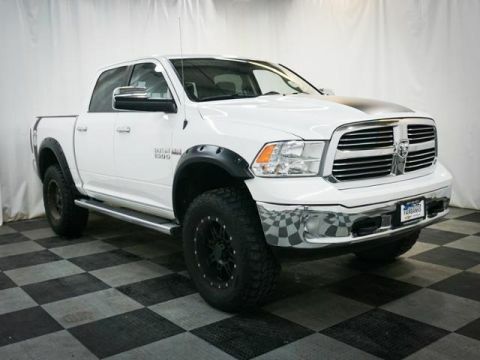 ENGINE: 5.7L V8 HEMI MDS VVT (STD), TRANSMISSION: 8-SPEED AUTOMATIC 8HP70 (STD). 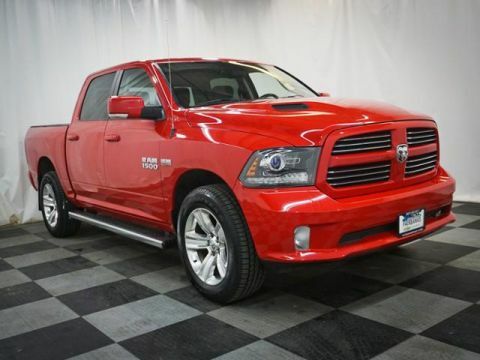 The 2015 Ram 1500 is a top contender in the full-size pickup segment, thanks to a winning combination of strong powertrains, a smooth ride and a well-trimmed cabin. -Edmunds.com. Great Gas Mileage: 21 MPG Hwy. Was $30,999. This 1500 is priced $1,700 below NADA Retail.